Watch this simple 48 minute video program that condenses down everything I’ve learned about counter attacking, preventing, and defending your home and family against the growing risk of a door ambush into a simple easy to learn skill. Every 14.6 seconds another American home is violated, and invaded AND most ‘successful’ invasions begin with some kind of door ambush. Did you know that every 2 minutes in the United States, a home robbery turns into a violent crime against a homeowner? 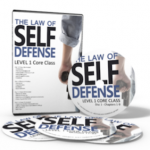 Have you ever wondered why it is so difficult to get firearm related home defense training? Are you convinced that an attack on you and your family in your home is the number one reason you own and use firearms and support the 2nd amendment? 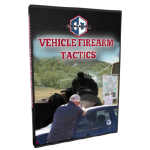 You could buy and watch EVERY tactical firearm DVD, go buy and read EVERY book ever written on Home Defense, spend HOURS interviewing industry insiders, and actually go get in person training and DO this stuff like I have. 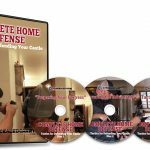 Home Defense is a broad topic yet your most critical risk, and the most important part of any Home Defense strategy is the Anti Door Ambush Plan. WHY? Because ultimately if you keep the bad guy OUT of the home you’ve already won the fight. Because, no matter how much we secure the entry point there will be times where we willingly open the door. The pizza delivery guy, the plumber, the concerned neighbor, and others who (legitimately OR as a ploy to gain access) will come to the door and you will need to converse with them and potentially allow them into the home. 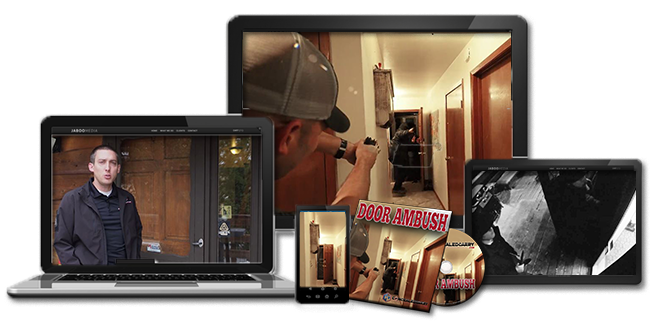 SO… this is why your Anti Door Ambush Plan has to deal with the physical security of the entry point while also ensuring all members of the household understand the tactics around the doorway and have the skills needed to deal with any potential ambush at the door. 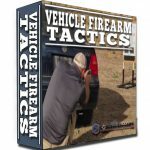 Where and how should you stage firearms to be easily deployed should you be ambushed at the door? How to safely deploy weapon-mounted or handheld lights without giving away your position to the attacker? How to OPEN the door to a stranger without allowing them entry or making yourself vulnerable to attack? Where are threats most likely to hide outside the home? How and Where do you install lighting on the exterior of the home to minimize risk? What three things can you install on the outside of the home for less than $100 that make the home significantly less appealing to common criminals? How do you work with other prepared adults in your home as a team in responding to threats? What are 8 tools you can employ at the doorway to make it 500% more difficult to gain a forced entry? What kinds of doors are the most difficult to kick in? What is the best use and application of doorbell cameras, peep holes, window glass, and security cameras? How can you confirm if service providers are legitimate or imposters? How do you prep your home in advance of a service provider’s entry to prevent identity theft or potential victimhood later? How do you guide a service provider through the home to the work area to minimize risk? PLUS A BONUS! This DVD includes five different scenarios re-enacted and played out live. These scenarios are based on real events and show in real time what you need to be prepared for and what simple tactics you can employ to change the outcome in your favor. I realize that some of you don’t have a DVD player. No problem, when you claim your DVD today we will also send you a private link via email which you can watch the entire DVD online from ANY internet connected device. Riley Bowman is the Creator and host of The Concealed Carry Podcast. Riley is an accomplished firearms shooter and instructor. 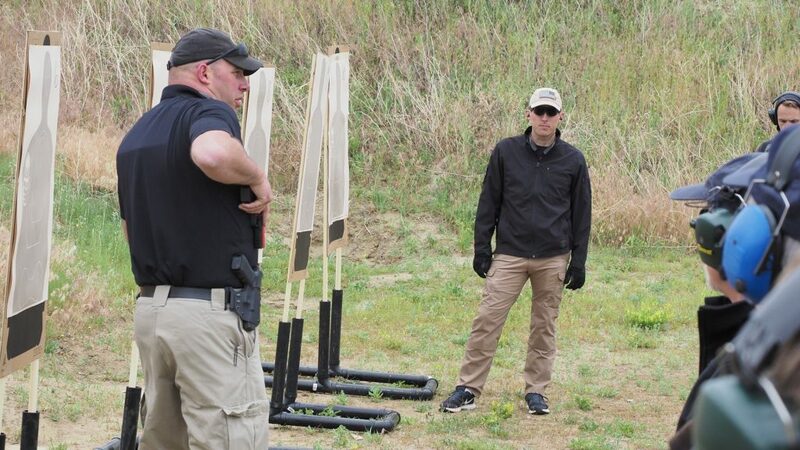 With a background in law enforcement and security, Riley enjoys sharing his knowledge and expertise when it comes to firearms safety, self-defense and concealed carry. Riley is an NRA Pistol Instructor and is also a Colorado P.O.S.T. Certified Law Enforcement Handgun and Patrol Rifle Instructor, USCCA Training Councilor, as well as a certified Glock & Sig Sauer Armorer. Riley successfully won his division of the Rocky Mountain Regional Championship of The American Marksman competition and was a finalist at the National Championship. Jacob S. Paulsen is the President of ConcealedCarry.com and co-host of The Concealed Carry Podcast. Jacob is a NRA certified instructor, Range Safety Officer, Utah BCI Instructor, USCCA Instructor & Training Councilor, Affiliate Instructor for Next Level Training & L.A.S.R, and a certified armorer for Glock and Sig Sauer. Jacob leads the instructor team of over 50 network instructors in 25 states. How Will I Get The Course Material? After checkout, within 2 business days you will be shipped the DVD and you will immediately get access to the online video streaming link. The house used in the DVD isn’t at all like ours, but there is still plenty of useful skill and thought in it. I’m impressed with the depth of this DVD. I found Door Ambush to be far more informative than expected. I gained 3-4 ideas that I will employ in the near future. Dead bolt on the back door, better lock sets on both doors, peepholes, and more. Great tips from very knowledgeable guys. 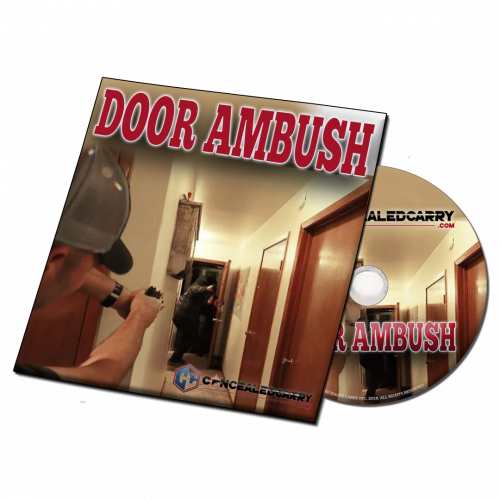 While viewing the Door Ambush DVD, several ways to improve the security of our home were brought to our attention. I recommend this DVD to anyone concerned about their personal safety.